The fabulous Perth Gift Card can be used in over 80 local independent businesses including retailers, gift shops, restaurants, bars and visitor attractions! 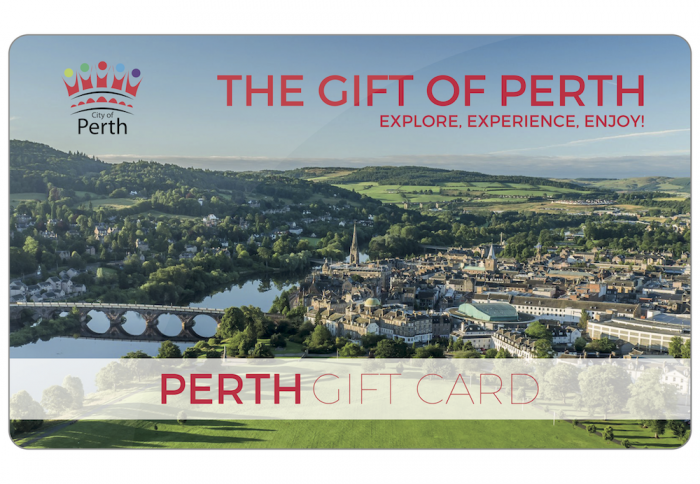 One lucky person each month will win a £50 Perth Gift Card to spend in the shops, restaurants and visitor attractions of our beautiful, bustling city. With over 80 independent businesses and attractions accepting this great card, you will enjoy the complete Perth experience! Think a fresh new hairstyle at Charlie Taylor Hair & Beauty, a stylish new piece of jewellery from Byers & Co, an invograting few lengths at Perth Leisure Pool or a rejevenating treatment at The Althos Clinic! And where better to immerse yourself in the cultural life of Perth than Horsecross - Perth Concert Hall? Of course, that's just a few of the fantastic businesses you can spend in; pop over to their website where you can find out more about the Perth Gift Card, where to buy it, where to spend it and why it makes the perfect choice of gift for your loved ones, colleagues and friends living in Perthshire.